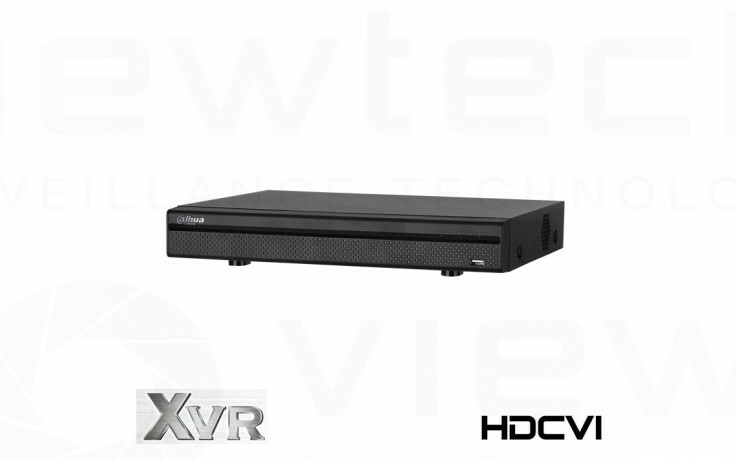 Dahua's XVR range encorporates support for the following cameras: CVI, TVI, AHD, CVBS (composite) and IP. This gives extremely good flexibility in what is now a busy multiformated industry. This allows it to work with open AHD cameras, Dahua's CVI cameras, Hikvisions TVI cameras as well as older analogue cameras and new IP cameras. Up to four cameras can have facial detection enabled (on IP or analogue). 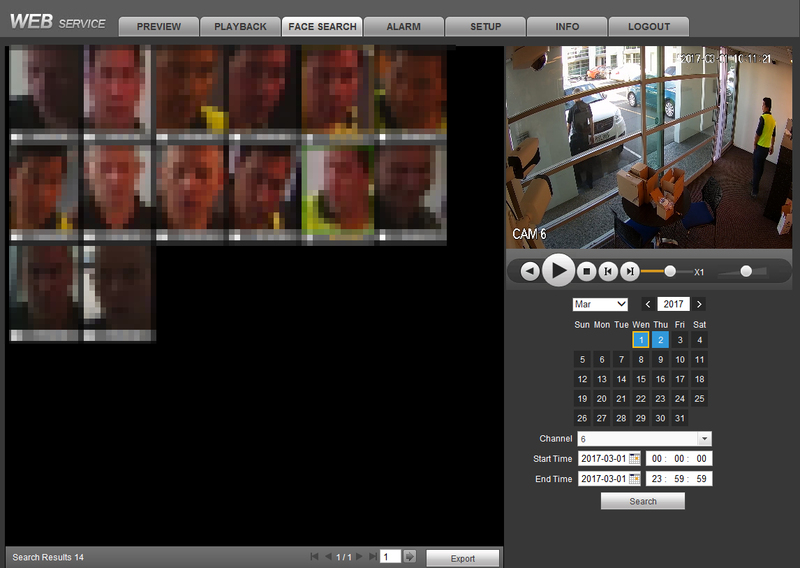 A built in facial detect menu shows a daily mosiac of faces, clicking a face instantly plays back the video of that time alowing quick video playback for certain faces. (faces blured for privacy). This feature is available in both the web GUI and directly on the DVR itself. No more time consuming port forwarding for mobile phone access. Simply scan the included QR code into the Dahua mobile phone app for full remote access without port forwarding. Full DDNS support is still included and P2P has to be enabled to work. Multi-region maskable motion detection allows complete customisation of motion activated recording. Both sensitivity and threshold can be adjusted. All Dahua cameras and NVR/DVR feature fully featured mobile apps. These are supported for iPhone and Android. Features include live view, playback, alarm monitoring, status monitoring, full remote setup and push alerts. Push alerts send notifications straight to your phone regarding motion detect or other alarms.